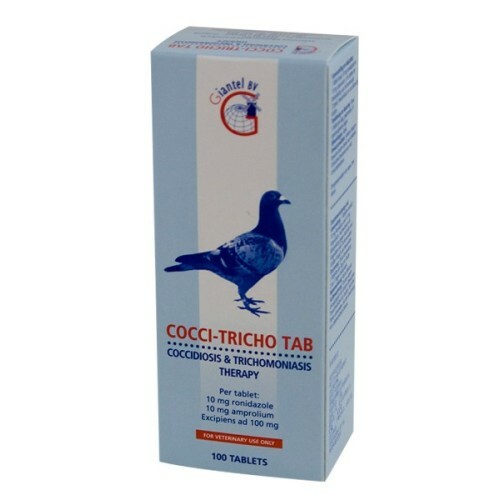 Cocci-Tricho Tab by Giantel is a triple action treatment tablet (3 in 1) to treat the pigeons individually against trichomoniasis, coccidiosis and hexamitiasis (Canker), effective and easy treatment dose, each tablet contains 10mg ronidazole of amprolium. - Preventive: every 3 weeks, 1 tablet. - Treatment: 1 tablet daily for 2-3 consecutive days.